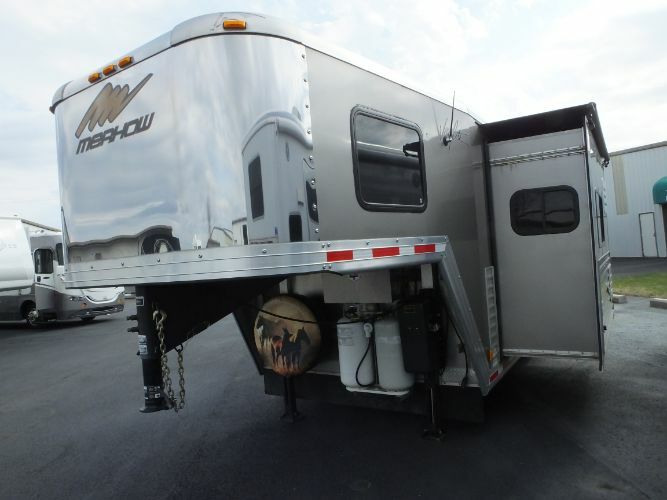 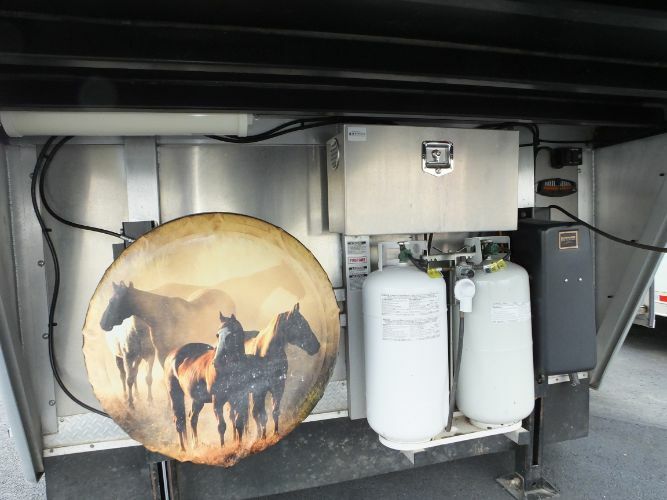 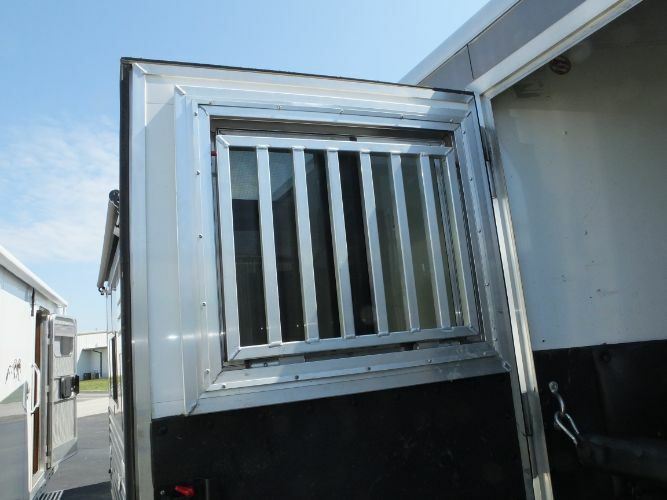 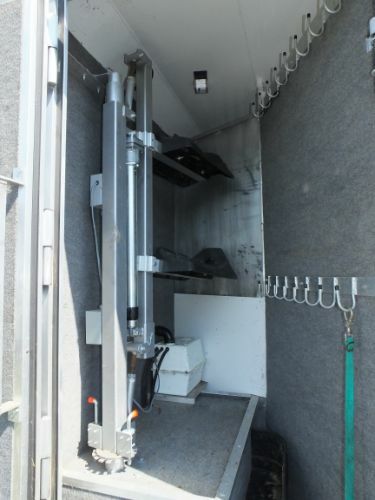 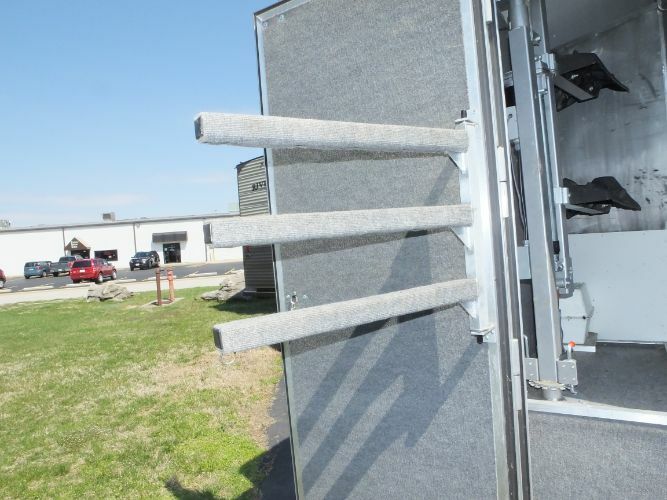 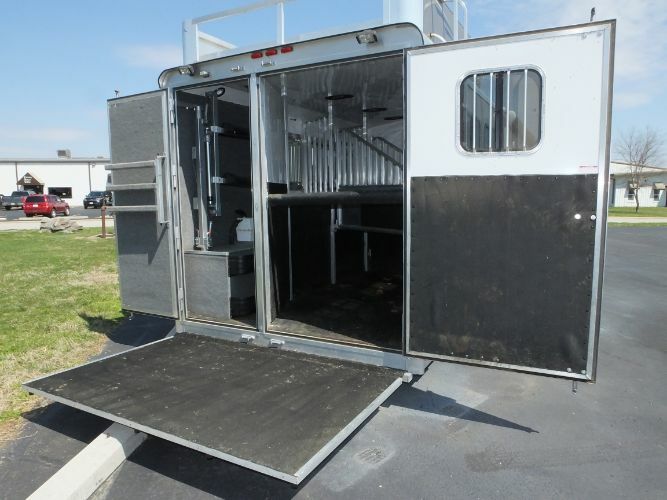 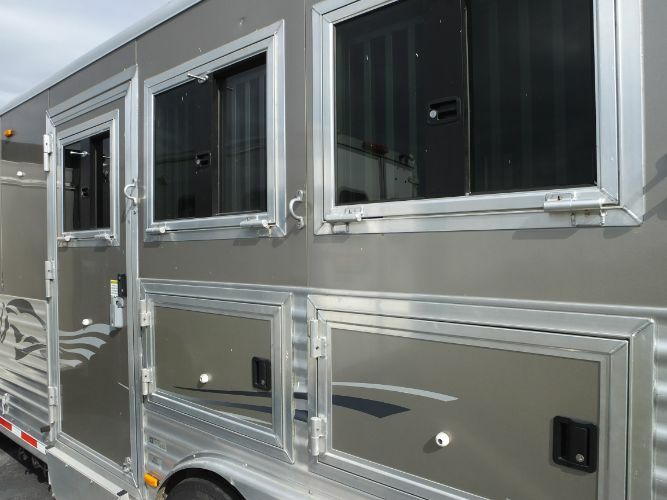 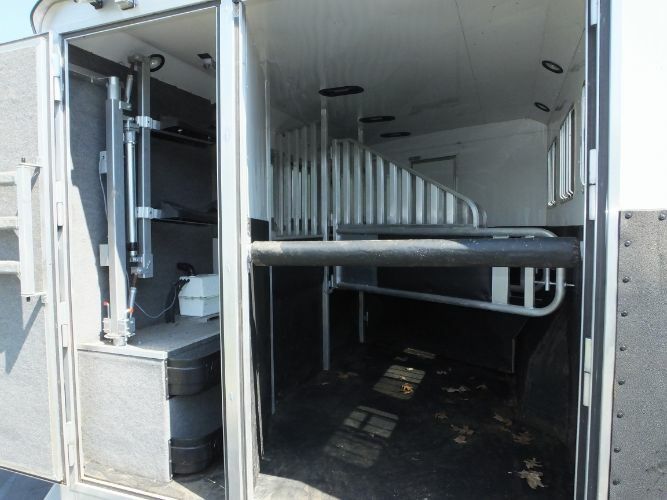 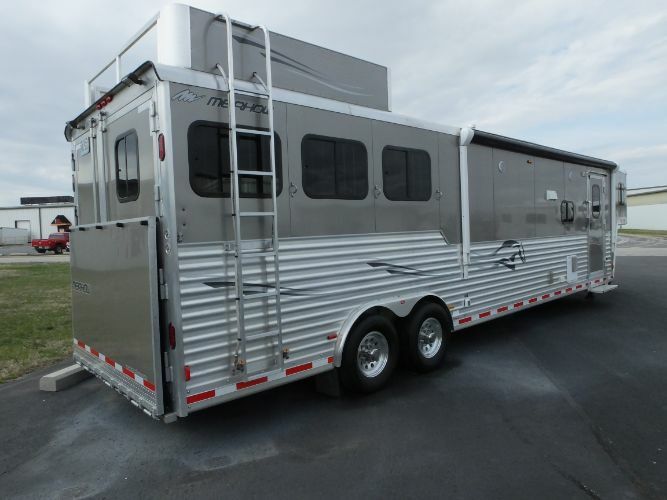 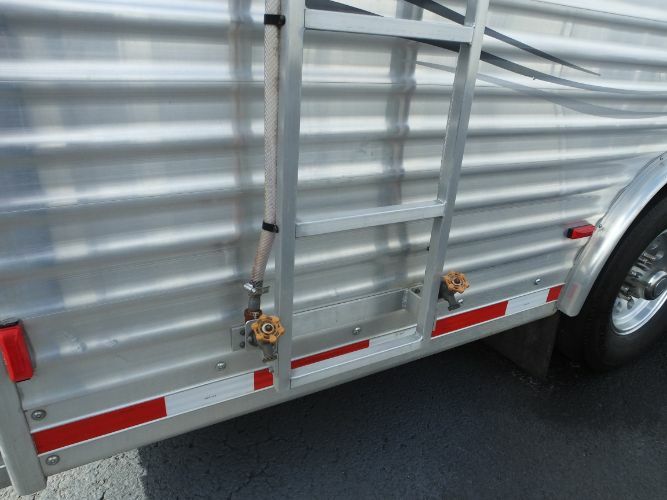 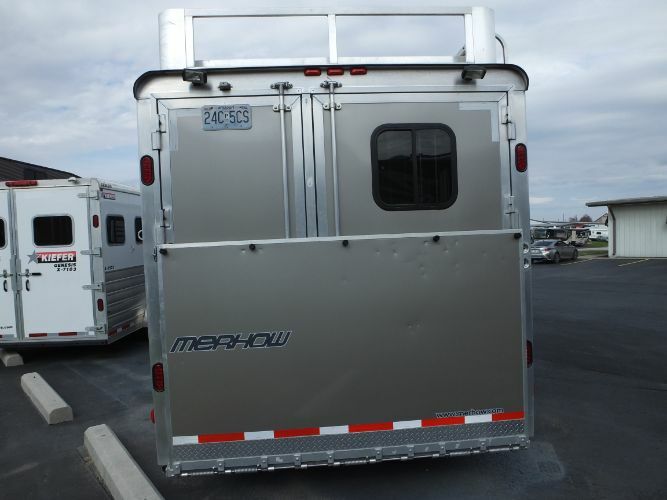 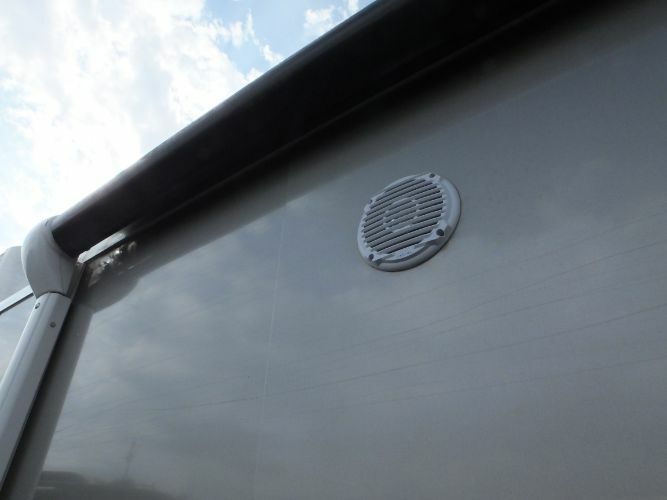 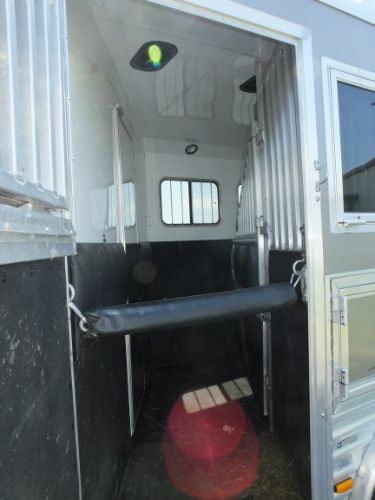 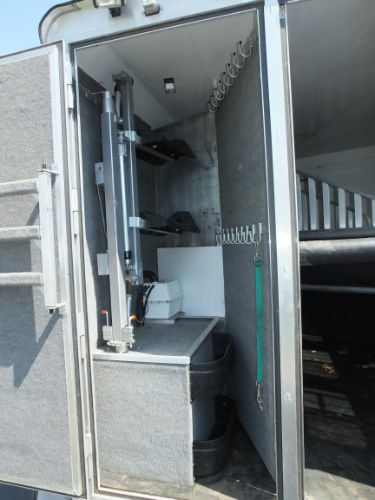 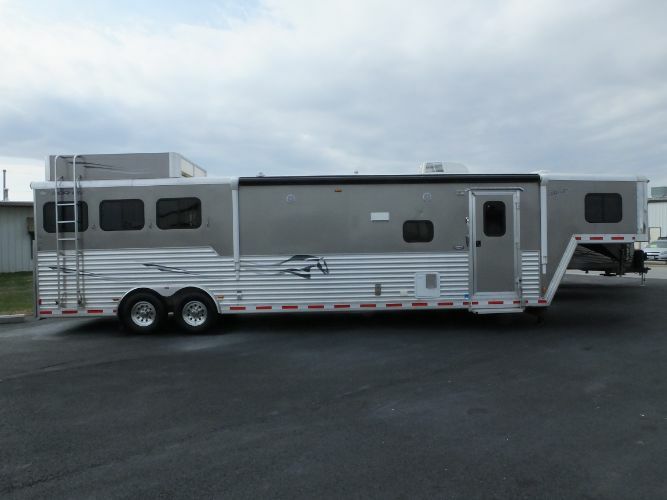 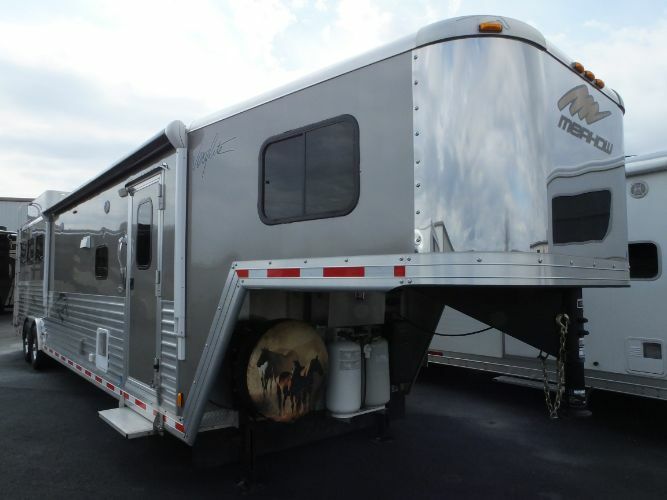 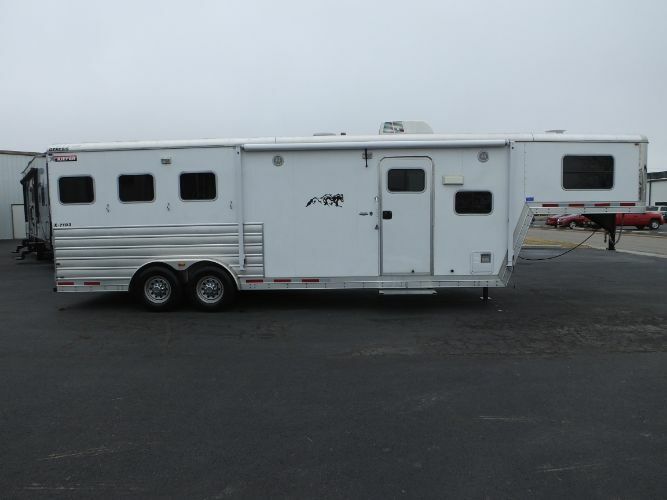 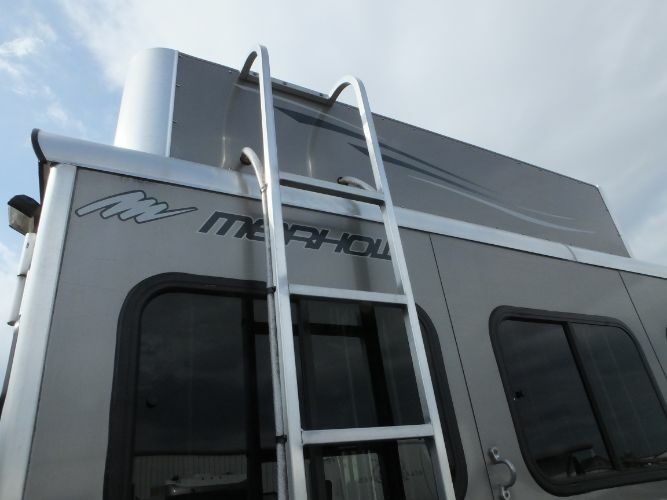 2012 Merhow Verylite 3 horse slant LQ horse trailer with slide-out. 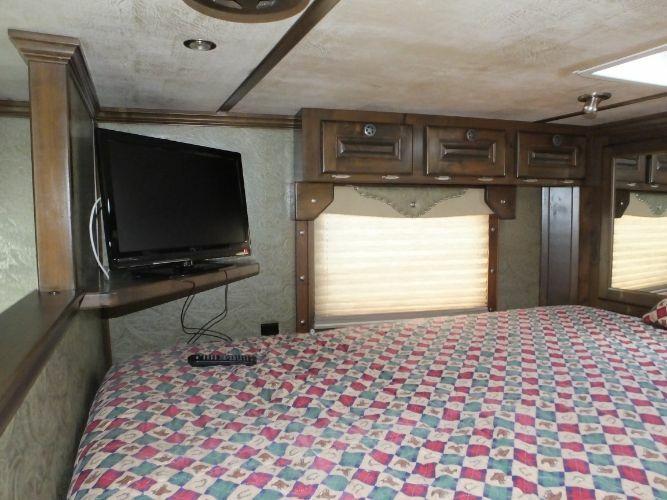 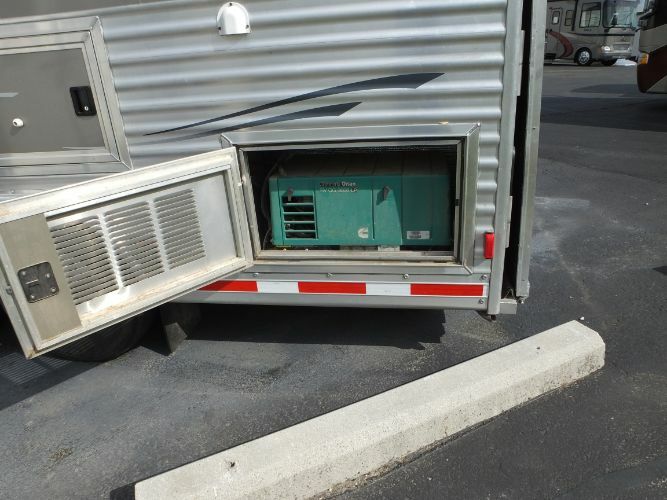 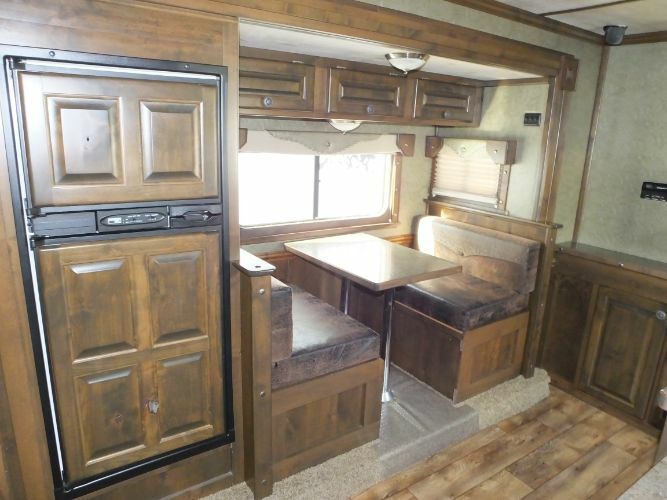 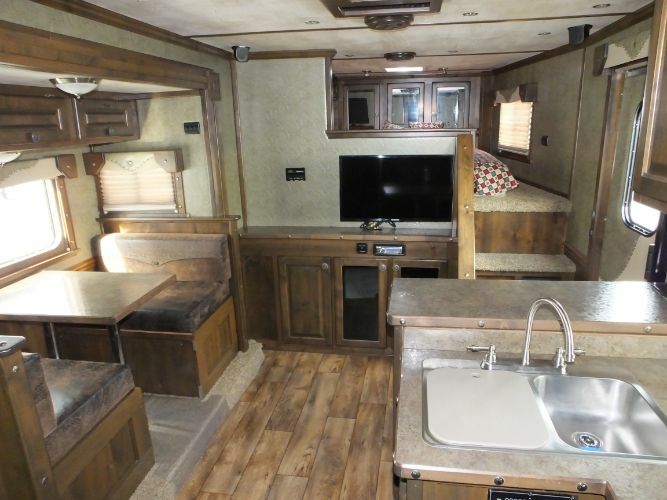 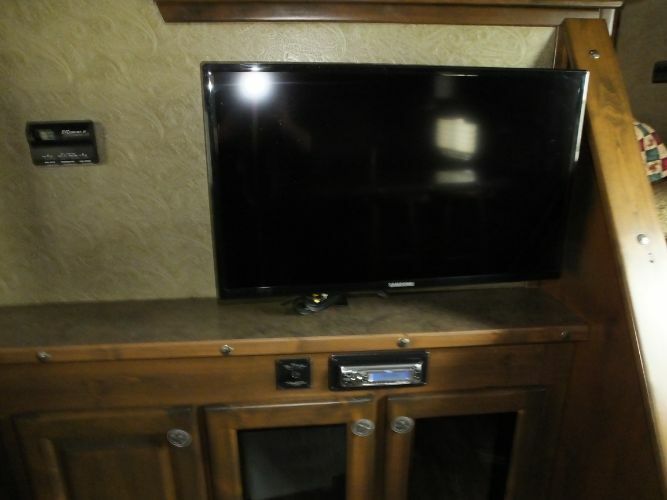 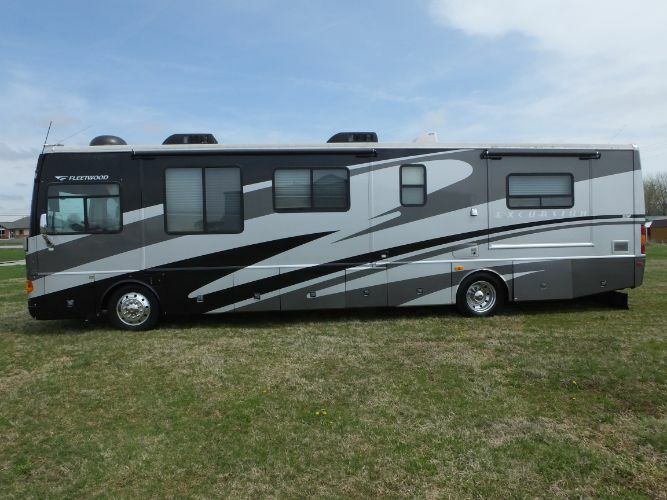 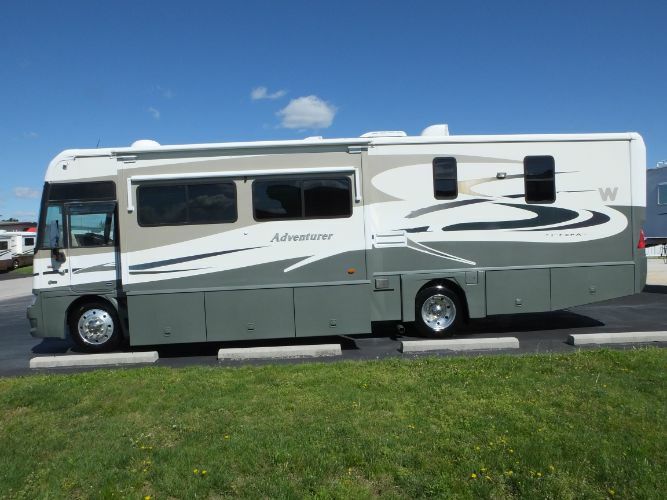 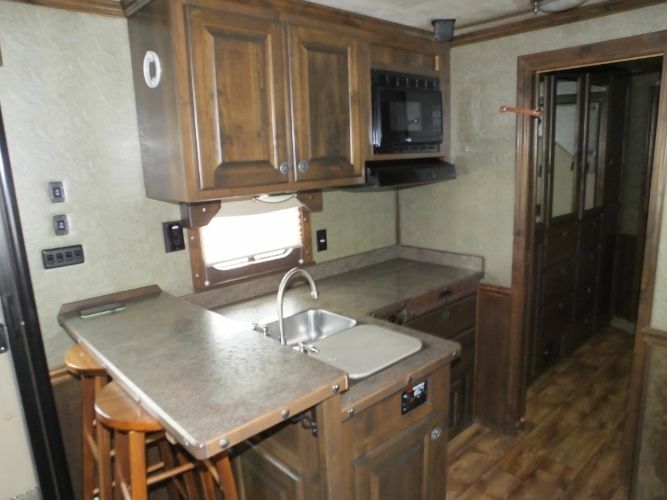 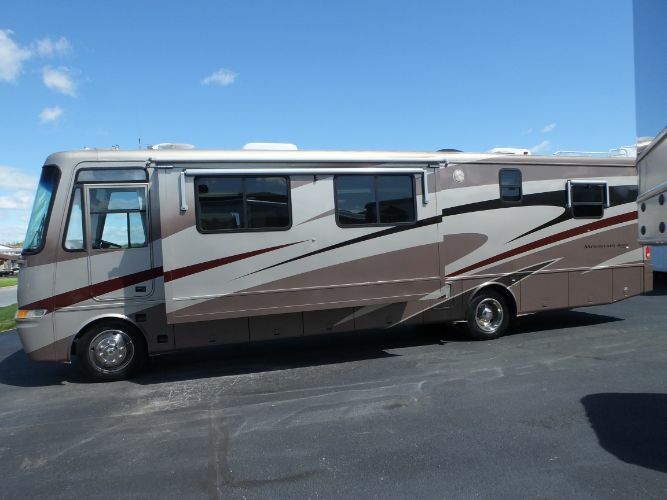 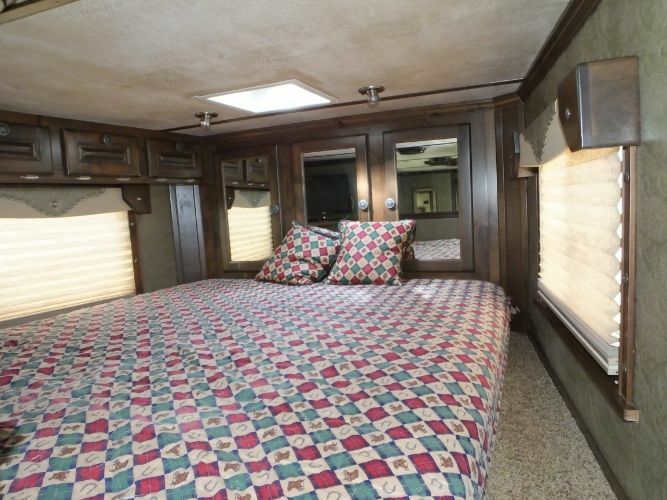 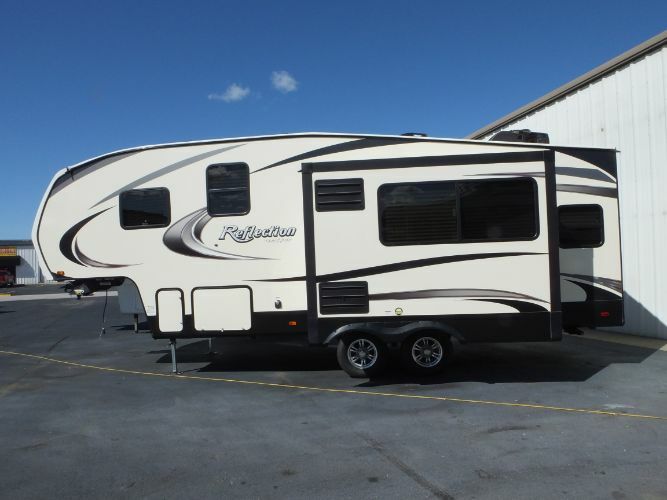 This one owner special order Merhow is loaded with options and is very nice inside and out. 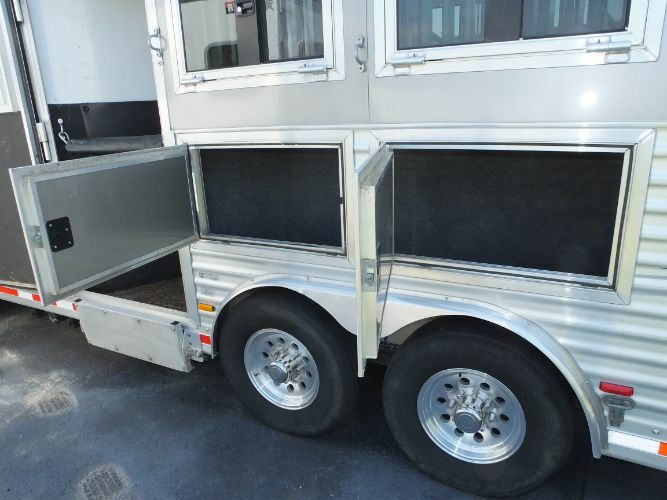 Standard options include, 7'6" tall, 8' wide, all aluminum contruction, one piece aluminum roof, extruded aluminum floor, Torflex rubber ride axles, Nev'r lube hubs, spare tire and wheel, stainless nose, lockable aluminum battery box, collapsible rear tack with adjustable saddle tree, stall walls lined and insulated, side mangers, round tubular stall dividers, hands free latch on each divider, drop down feed doors, and LED light pkg to name some of the standard options. 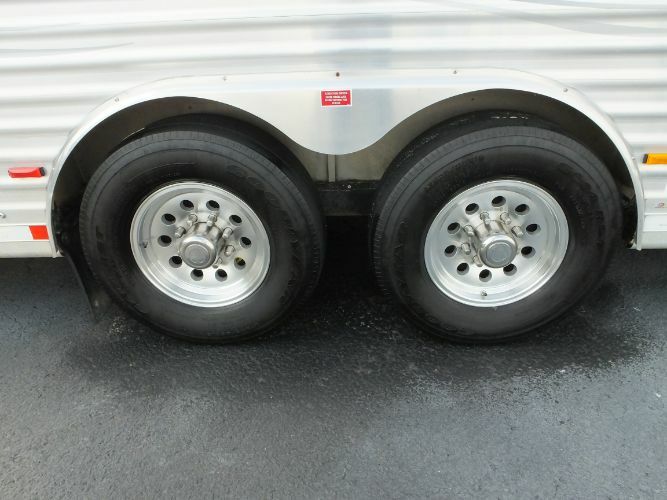 Total length is 38'. 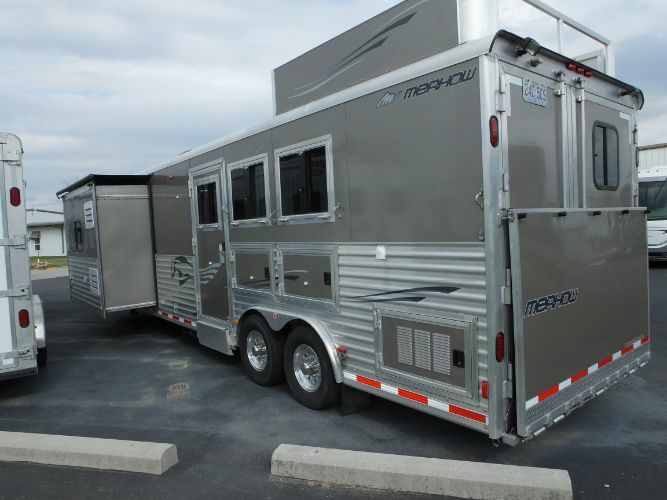 Now for the custom orderd options, one foot extension in overal trailer length to accomodate 15 foot 6 inch short wall, 42" stalls (usually 40"), light pewter color, Merhow spare tire cover, upgraded 8 lug aluminum wheels, 14 ply tires, dual hydraulic front lift legs, additional load lights, rear ramp, paddle latches added to doors, flip up aluminum steps, drop down feed windows, 24" mangers, 8' hayrack (wrapped sides with graphics, ladder, 80 gallon fresh water tank (housed inside hayrack) plumbed with valves on both sides, lined and insulated ceiling in horse area, tapered wheel wells, additional bridle hooks, blanket bars and brush boxes, feed bag, all aluminum upgraded 9' slide room with awning ($5000 option), 7200lb axles, Onan 5500 generator, custom gen compartment under rear tack room w vented access door, extra battery and isolator. 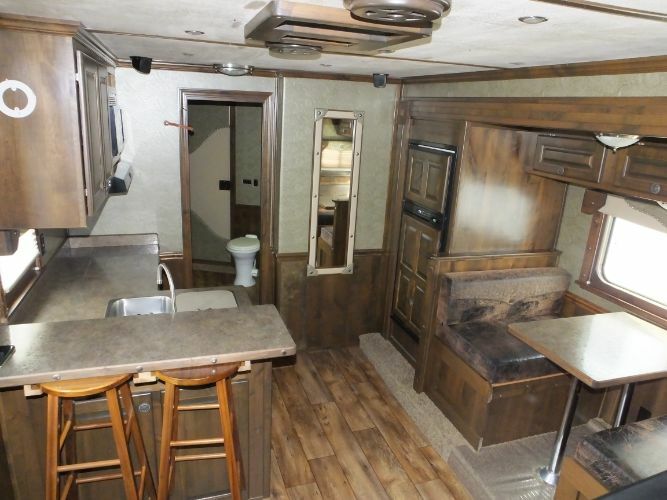 The trailer is super nice inside and out.